“Woof Woof“ (or I meant hello there) ! One day, some time after the first projectile-crying-homecoming-event, my services we needed in a big way. After weeks of Mom trying everything she could imagine to get the baby to laugh, she asked for my help. She took her outside to play ball with me, and just the sight of me with a ball in my mouth made her giggle like crazy. Baby Blair is just 4 months old here 🙂 in this video. I think I do pretty good baby work don’t you? I work with Dad, and do a little modeling too! Yes, I am an official greeter, but my duties have expanded. I have been asked to take on more responsibility. I’ve been working to earn my keep as a model. 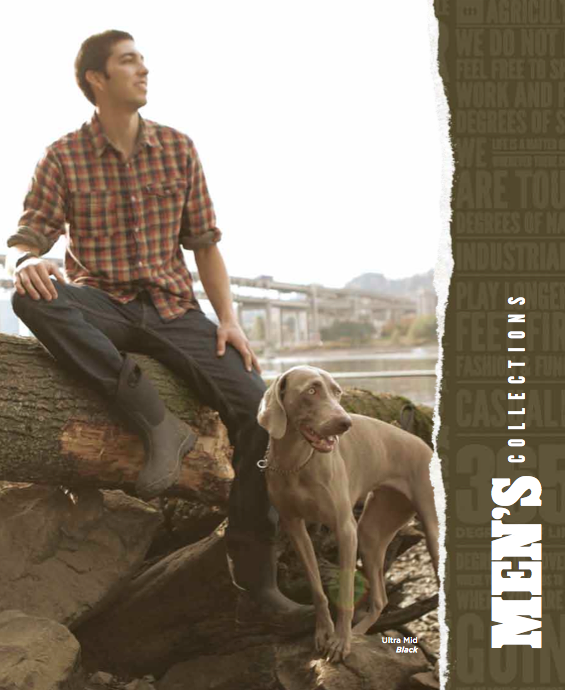 If you want, check me out in the Bogs catalog! I am not on the online catalog yet. Please buy some of my dad’s great boots, and make me smile too! 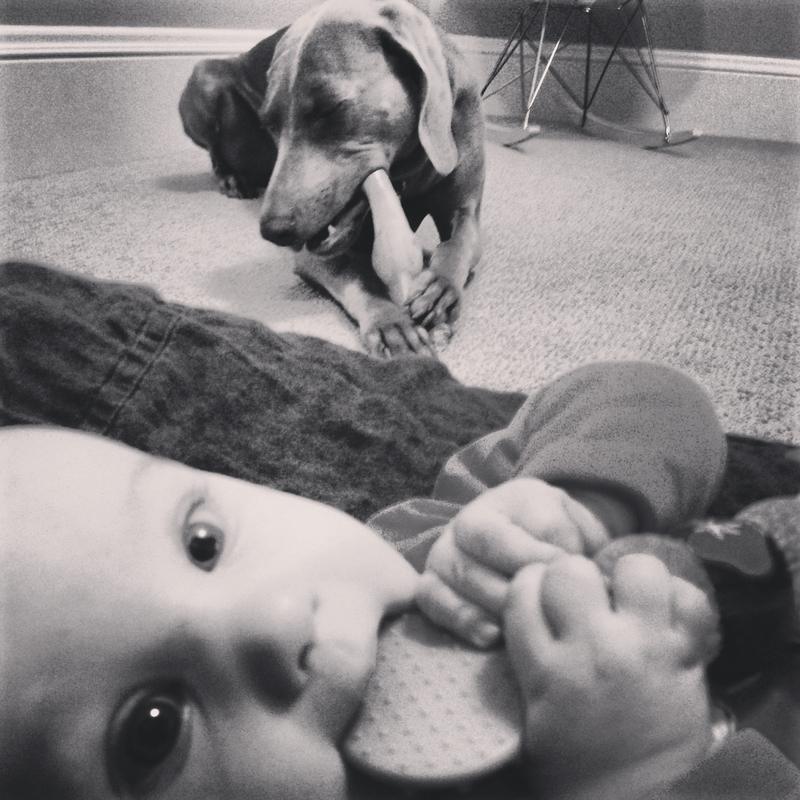 Posted on May 13, 2013, in Polka Dot X Blue, Previous Pup Update and tagged Baby and Me, Betsy the Weimaraner, Blair the new Baby at our home, Oregon Weimaraner, Oregon Weims, Working Weimar. Bookmark the permalink. 2 Comments.